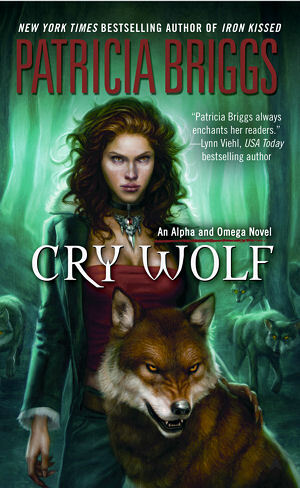 Cry Wolf is the second novel in the Alpha and Omega series by Patricia Briggs. This story is amazing! I really enjoyed it. 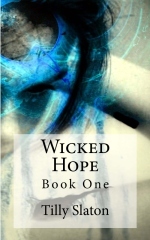 It is rare to find paranormal romance, especially a shape-shifter series that remains focussed on a single relationship. As with the Mercy Thompson series, Alpha and Omega continues to leave me smiling. Cry Wolf picks up only 24 hours after the last book, On the Prowl left off. Moving to Montana to be with her mate and his pack, Anna is forced to confront and accept help from her former packmates. This is no easy thing considering most of them brutalized her. Panicking as she entered Charles’ home, they both tip toe around each others fears, overwhelming emotions and the undeniable need for one another. You would think struggling through the beginnings of a relationship were hard enough. Nope! After a werewolf makes his intentions known that he will challenge Charles for the right to become Anna’s mate, Charles is forced to explain to her that she does indeed have options if she does not wish to choose him as her mate. This enrages his beast, of course. A rogue werewolf is slaughtering hunters in the mountains. Bran, the Marrok and Charles’ father sends him and Anna to search, hunt and more than likely kill the threat. Witches. Black magic. Ghosts. Spirits. Funerals. Mating. This book will not leave you wanting. I recommend this book to mature adults only. Although there is moderate to semi extreme violence and mildly nondescript sexual content, I do not believe this book should be read by younger eyes. This entry was posted in Reviews and tagged Book, magic, paranormal romance, Patricia Briggs, review, shape shifter, werewolves, witch. Bookmark the permalink.